To understand the role of international standards, why it is beneficial to use international standards for HCI, how they can be applied, and how they are developed. The tutorial explains how international standards can provide a sound basis for educational and training, can provide authority for design and development, and are a rich source of guidance and reference material. The potential value of using these standards will be explained for example situations proposed by the audience. A summary will be given of new standards currently under development, and how to provide feedback on the intended content of these standards. Anyone interested in using international standards to benefit their professional work or activities in their organization, or to use as a basis for educational or training material. Basic familiarity with HCI and usability is assumed. Nigel Bevan is an independent usability consultant with wide industrial and research experience. He has managed a series of European projects that have incorporated user-centered design into the development processes of a number of large organizations. 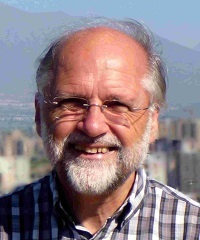 He has been editor of several international standards for usability, software quality and usability methods. Nigel led the UXPA Body of Knowledge project. He was a member of the National Academy of Science Committee on Human-System Design Support for Changing Technology. He has authored over 80 publications, and has a chapter providing a framework for cost benefits in Cost-Justifying Usability book.